There are many realtors who feel that staging a new construction home isn’t necessary. And then there are realtors who know that potential home buyers need to have an emotional connection to a home in order for them to make an offer. 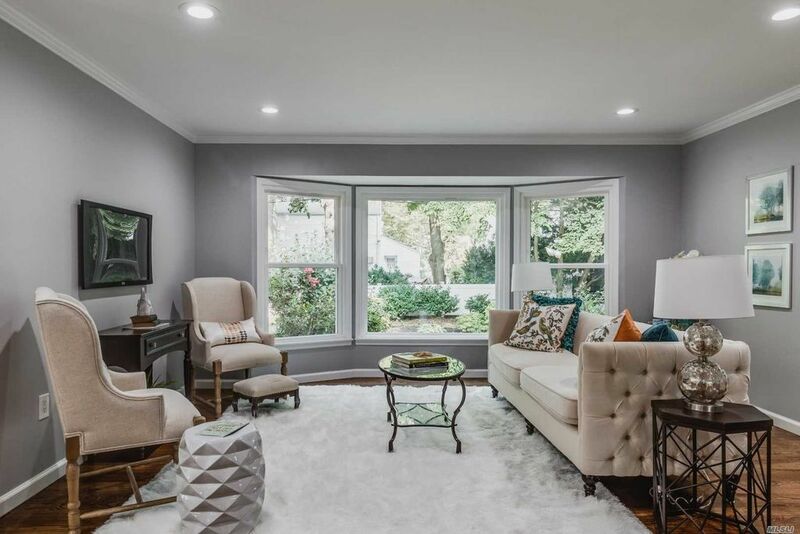 This was the case recently when we staged a lovingly renovated home in Roslyn Heights NY for realtor George Fiori of RealtyConnect USA. The layout was a little problematic – the living room was oddly L-shaped and it also contained a fireplace (that wasn’t in the center of this space either!) and it blended into a dining room space. Open Concept plans are all the rage right now…but guess what? No one knows how to decorate them! When buyers scratch their heads trying to figure out where to place their furniture in an Open Concept Plan – they usually don’t make an offer on the house. 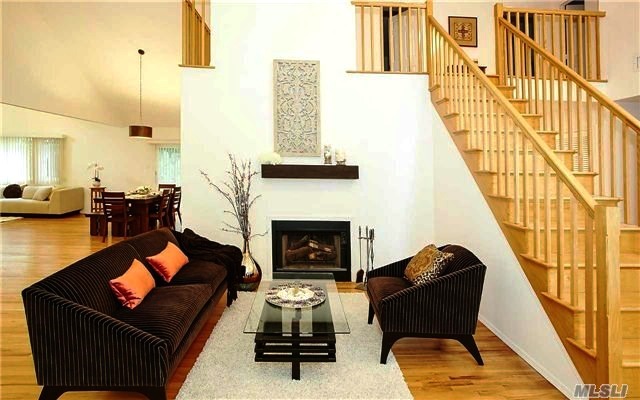 If you notice – the fireplace, which usually is a focal point in a space – is a bit far away from the living room area. By flanking two chairs on either side – I created a little reading and relaxing area. Then I created the “Living Room/TV watching area” in the back of the house Each space has a separate function. The dining area needed to show ample seating. 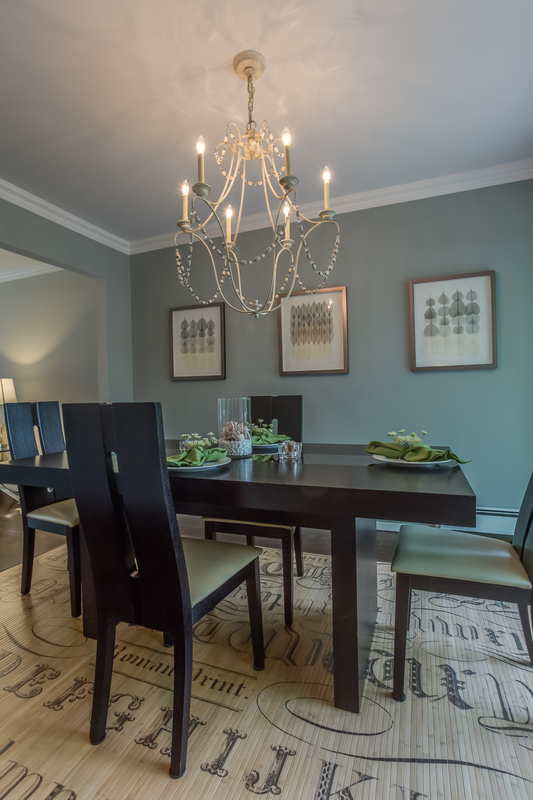 I used 6 chairs but there’s “breathing room” in the space, showing that more can be seated for holiday gatherings. One of the great features in this home, but one that needed some definition, was an extra Master Bedroom. 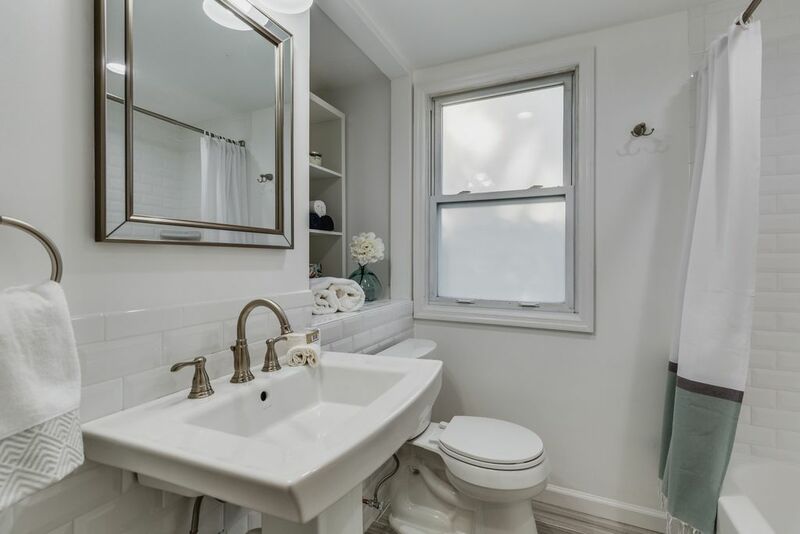 The first floor Master had an adjoining bathroom – so this could be the Master but it also could be a guest room or a mother-in-law bedroom. 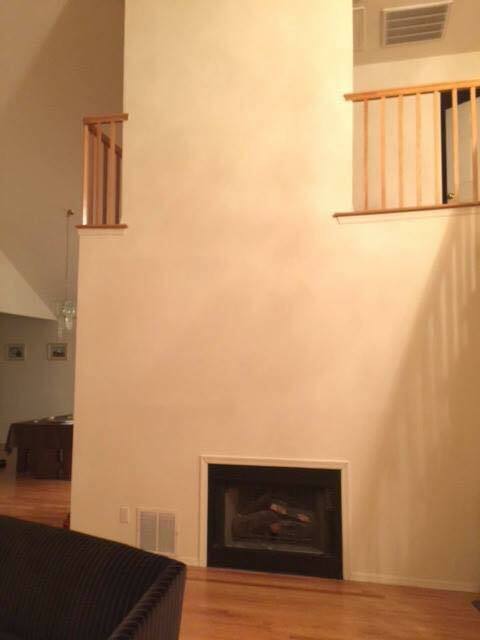 Leaving it empty would not help a buyer to figure out what to do with this space. I made both bedrooms soft and inviting, so the buyer could make up their mind which one they wanted to make as the Master Bedroom. The en suite bath had a safety bar in the bathroom – so it made some sense to me that this should be an aging parent/ mother-in-law suite or even a “returning to the nest” young adult. The other 2 bedrooms upstairs were quite small. 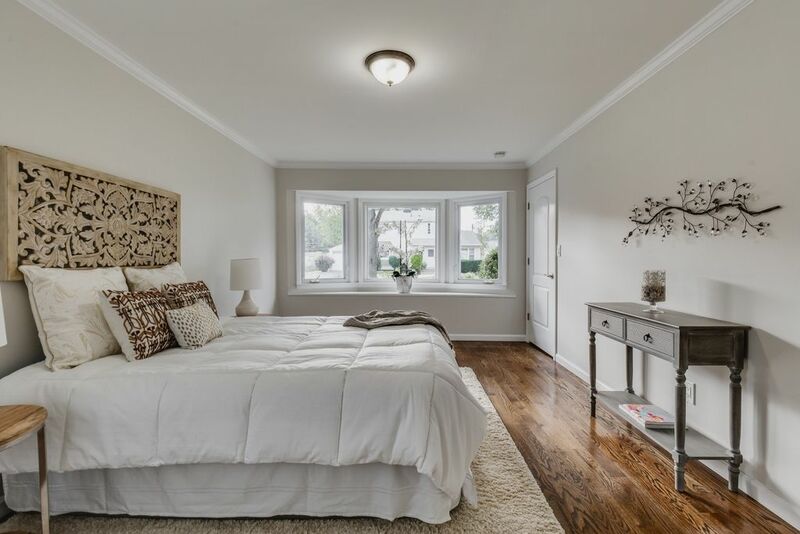 As an expert stager on Long Island, I can tell you that even in small bedrooms… you want to show livability and function. Part of my job as a stager is to make smaller spaces seem more spacious and functional. 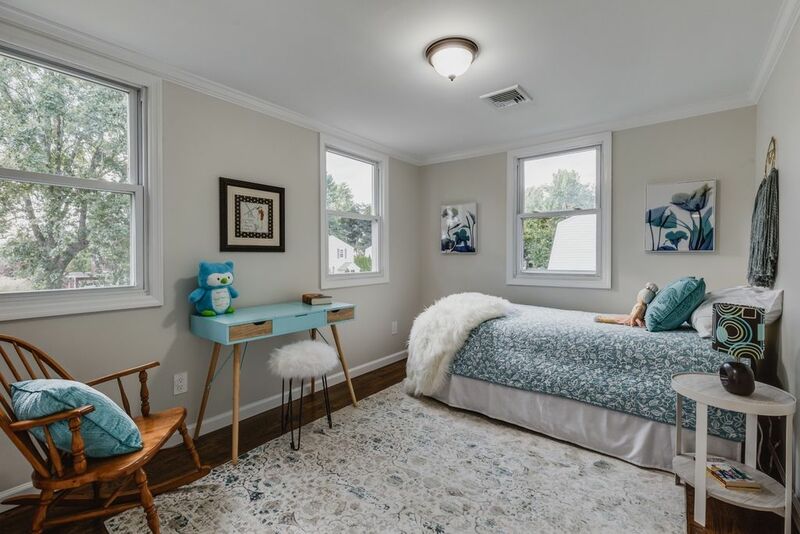 You don’t want a potential buyer to come away wondering whether or not they can fit their children’s bed and furniture in a room. No matter how small – the function has to be there…and be visible!!! An empty room doesn’t tell them anything about that! The smallest of rooms need staging – and it should appeal to the littlest person! The other bedroom, below, was a bit bigger but it needed to show “larger,” more functional…and FUN! I staged it as an older girl’s bedroom – with teal accents. The first floor also had a bonus space – I staged it as an office. If it was left empty, perhaps buyers wouldn’t know how to use it. I know that many people work from home – or they need a space to pay bills and use their laptops, so it made sense to me to add an office. In fact, I used a large vertical piece of art that I created – with the Eiffel Tower – behind the desk. Who knew that the couple (who made the offer and have now signed the contract) met in Paris and they felt that this was an omen…a sign that they should make an offer on the house! They were in love with the rest of the house…and the neighborhood – but this piece of art prompted an offerl!! 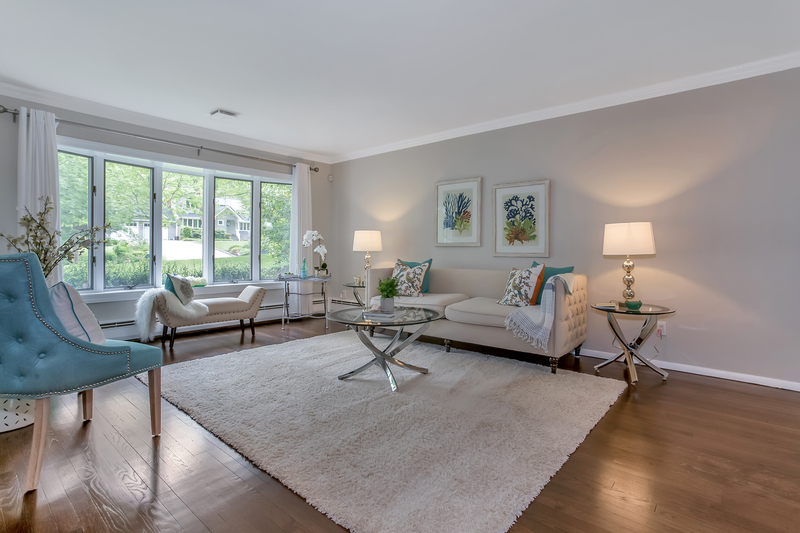 Staging can help overcome awkward floor plan, cold and vacant spaces, bad color choices and more – give it a try!!! Are you using (or watching) a lot of Facebook Lives? I love to do them and watch them. 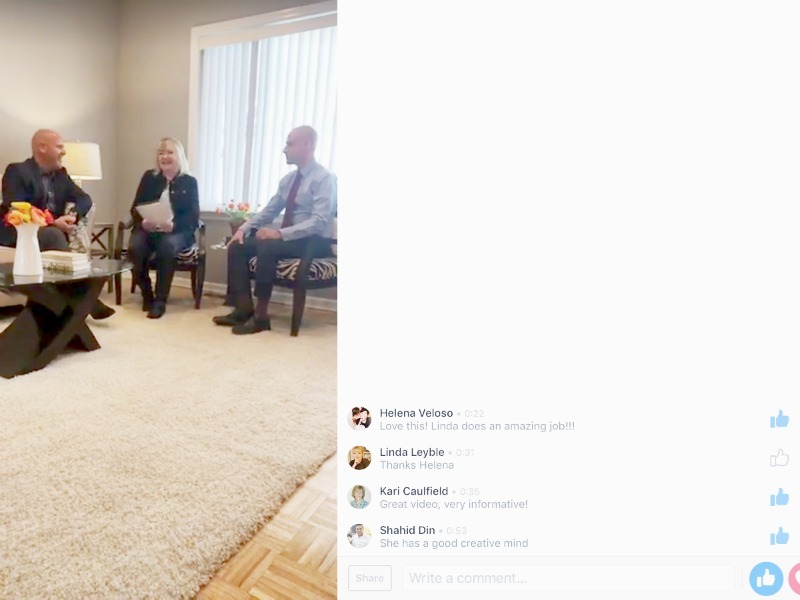 Last year I was interviewed by realtors Orlando Frade and Matthew Korman of Douglas Elliman. I hope you will take a listen – I give a lot of advice for sellers in this little Facebook Live video. Click the link below! I’m writing this post for home sellers who are about to put their homes on the market…and for sellers who have been unsuccessful at getting their homes sold. If you know what buyers want and what makes their hearts beat faster – you have a really good shot at having a successful sale. Great Location: If you’ve watched any HGTV home selling shows, one of the main considerations always seems to be LOCATION. If your home is in a prime area, you’ve already satisfied one of the main reasons for a buyer to buy. But what if your home isn’t in an ideal location – what do you do? 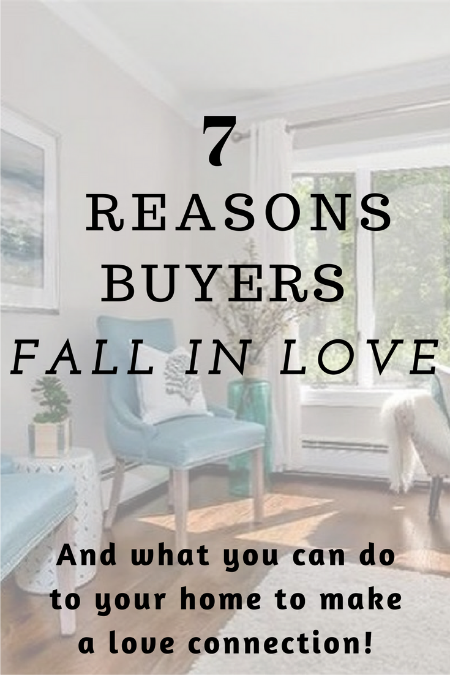 It’s then up to you to really pump up the other main reasons I am listing below for a buyer to fall in love with your home! In addition, you may need to communicate your home’s value in other ways. You’ll need to bolster any unique features of your home (large yard, great fireplace) and perhaps other potential uses your home may have (mother-daughter or two family with the right permits; separate home office, etc). Also consider great schools and close to transportation as benefits as well. 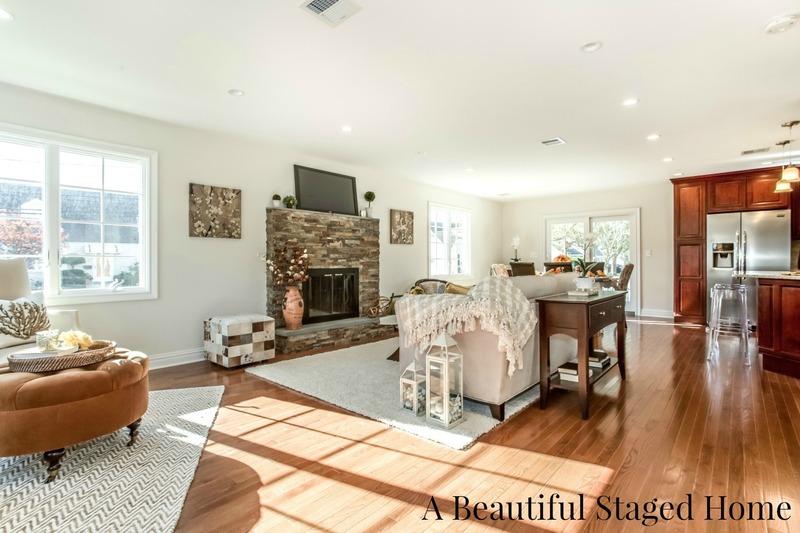 I have staged several properties that were in less-than-desirable areas – that sold very quickly not only because the staging and the photography looked great, but also because of other attributes the homes had that were brought out in the marketing materials and online descriptions. Best Value for the Price: This is so important. Over-pricing a home only extends the time your home will be on the market. Price it correctly from the start – and you’ll be a happy home seller moving on to your next adventure very quickly. Fantastic Curb Appeal: A home buyer makes up his/her mind on a buying decision very quickly (8 seconds), so make sure that first impression is a great one. Beautifully cared for lawns, mulched flower beds, a stunning front door painted in an attractive color – these are things you have total control over (with a little elbow grease or a great landscaper!) and they will get you closer to the closing table. A beautiful, well-cared for exterior gives the buyer the impression that the interior will also be well-maintained. An Interior that is Spacious, Airy and Light-Filled: If a potential home buyer enters a home and immediately feels a sense of serenity, warmth and comfort – most likely that feeling will really register and stay with them. 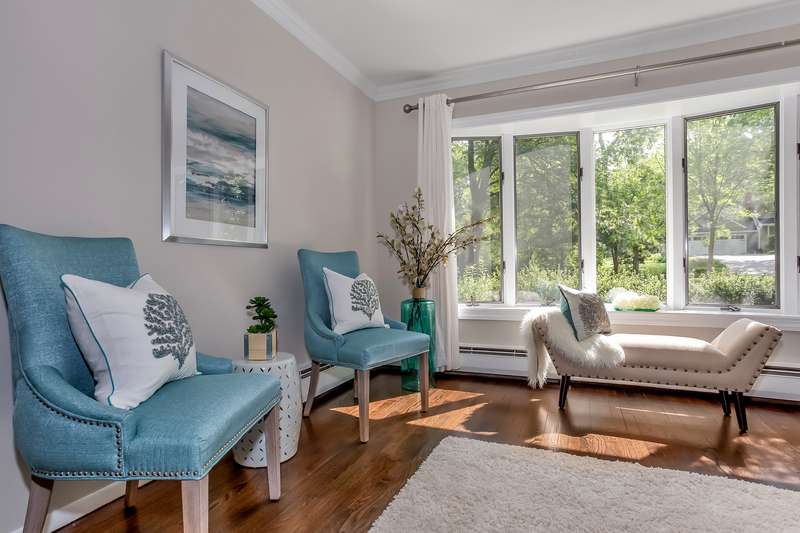 A home that is not cluttered, has neutral, light colored wall paint and there’s light streaming through the windows – that’s what buyers are after. People buy with their hearts and if you feed them what they want – they’ll eat out of your hand. I had a client this year that was complaining about having to paint some of his rooms a lighter color and he didn’t want to remove (or even paint) some dated paneling. He said it stressed him out just to think about painting or removing the paneling. I said to him “So – what do you think potential buyers will feel when they think about all the work that has to be done if they buy your home? If you feel stress…so do your buyers!” Avoid this – do the work that you know buyers will want. Get out the paint brush! 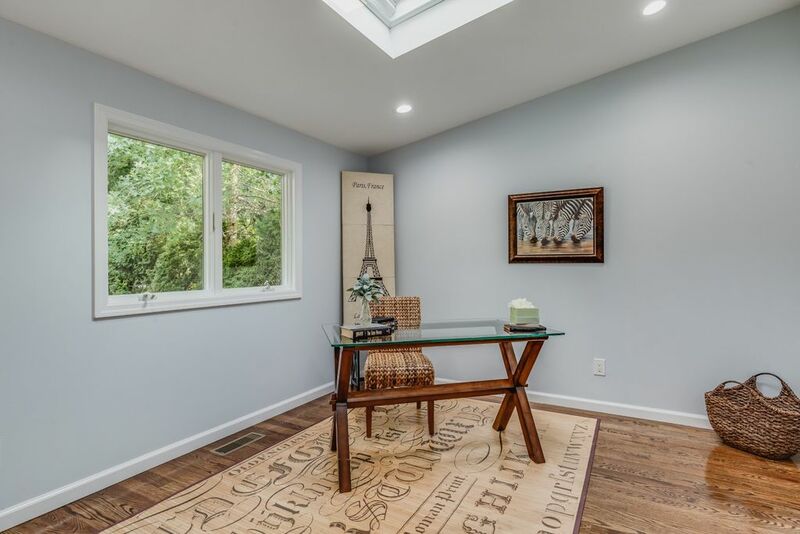 The Wow Factors: Zillow Digs did a study last year designating certain words in a listing description that helped sell a home faster. 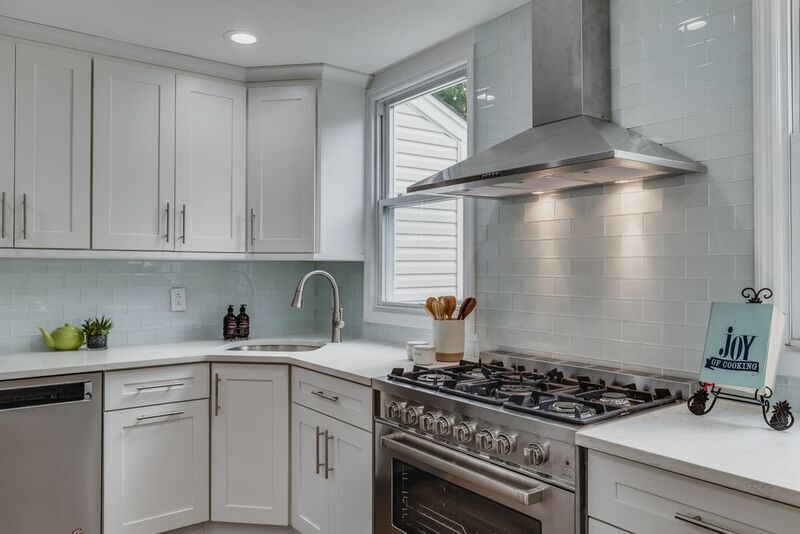 Homes that had subway tile, barn doors, shaker cabinets, farmhouse sinks and quartz countertops all sold considerably faster than homes that lacked these items. You may have one of these features – and that’s great. But, don’t despair thinking you have to spend a lot of money installing one of these “Wow Factors” if you don’t have any! Other assets in your home can be Wow Factors – if you know enough to call attention to them. 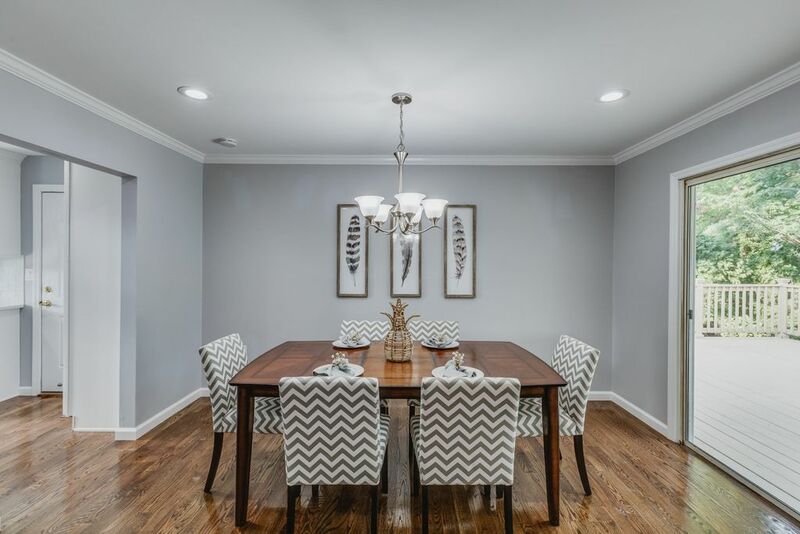 Having beautiful light fixtures adds a wow factor! 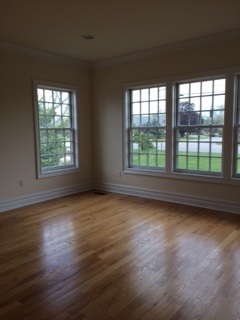 This home we staged in Dix Hills NY used to have a small builder’s light in the dining room before. Big difference! I did a staging consultation the other day for a realtor whose client’s home needed a lot of help. 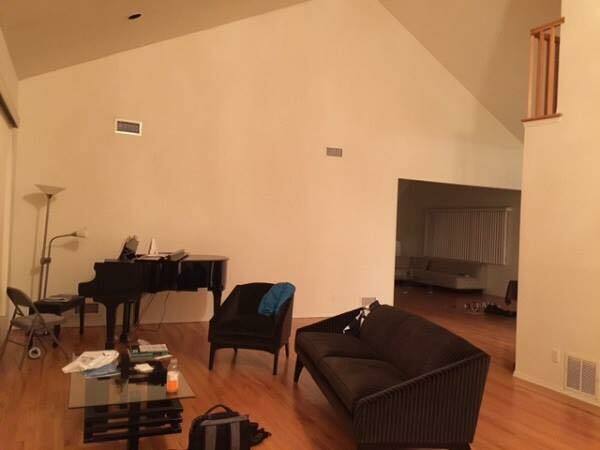 As I was passing through the living room, the first thing that struck me was how badly arranged the furniture was. The living room was large – but there was only 1 sofa and 1 upholstered chair…and no coffee or end tables. There were a few other tables in the room (and one of the them was set up blocking the entrance to the dining room). Crazy? As we were going in to the kitchen, the realtor said to me “Doesn’t she have a great fireplace?” I said “What fireplace?” The furniture was not arranged around the focal point of the living room – the fireplace…so I didn’t even notice it. If I didn’t notice it – neither will potential buyers. A great fireplace and mantel is a Wow Factor and you need to play this up if you have one. After: If you have a fireplace – make it a showpiece. Adding stacked stone made all the difference. This home we staged in Mineola NY sold quickly. What are other Wow Factors? 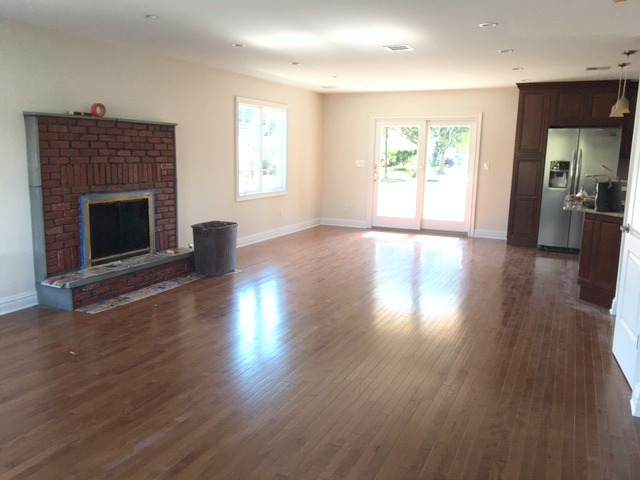 Beautiful, gleaming wood floors throughout the home. If you have hardwood floors covered up with wall-to-wall carpet – you’re hiding a potential star of your home. Built-ins are another feature that home buyers want. The client I was talking about above with the fireplace I missed – her home had several built-in bookcases but they were cluttered with little knickknacks and hadn’t been cleaned or painted in a while. These special features are things that buyers will love, so make sure they are standouts…and not hidden assets. An Updated Home in Great Condition: When a home is clean and well-cared for and there are no deferred maintenance issues, a buyer will feel confident about making an offer. This is the biggest financial transaction in someone’s life – so, the more confident the buyer feels the better. If a home seller has taken care of any potential problems, the home inspection probably won’t uncover things that could forfeit a smooth sales transaction. When it comes to what updates you should do, take time to visit your competition in the area. 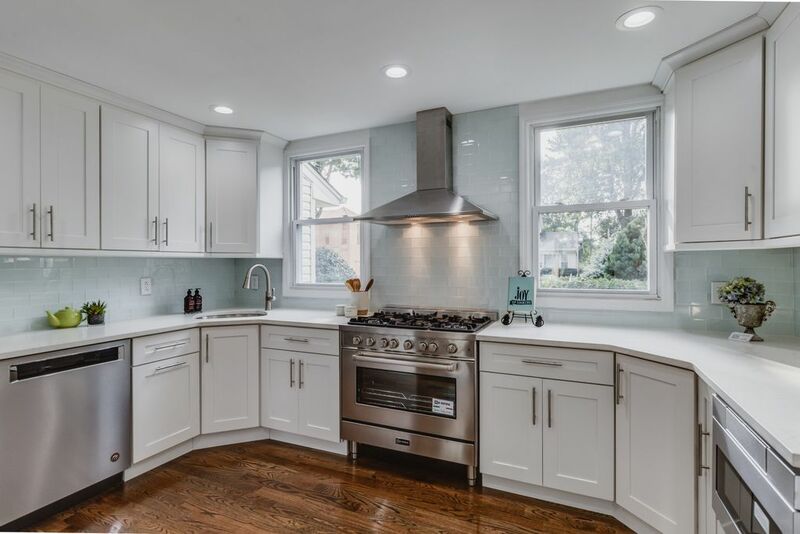 If most homes in your price range have updated kitchens, you should think about doing some upgrades. Do you have to do a full renovation? 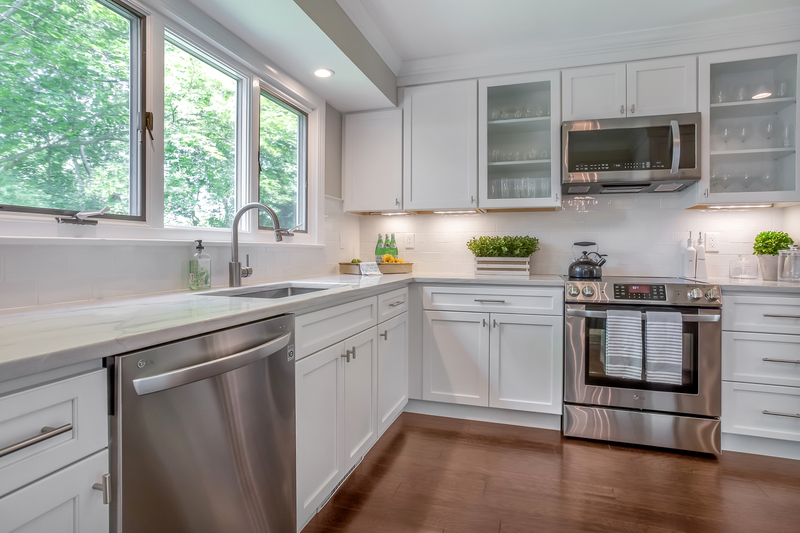 No – but perhaps painting your older (but great condition) cabinets a lighter color and installing new hardware will give your kitchen a like-new look. So, take care of any problems in your home. Fix the leaky faucet, upgrade what needs to be upgraded. Your buyers will appreciate it. If you’re not sure of any issues, it’s a great idea to have a pre-inspection done, just to be on the safe side. 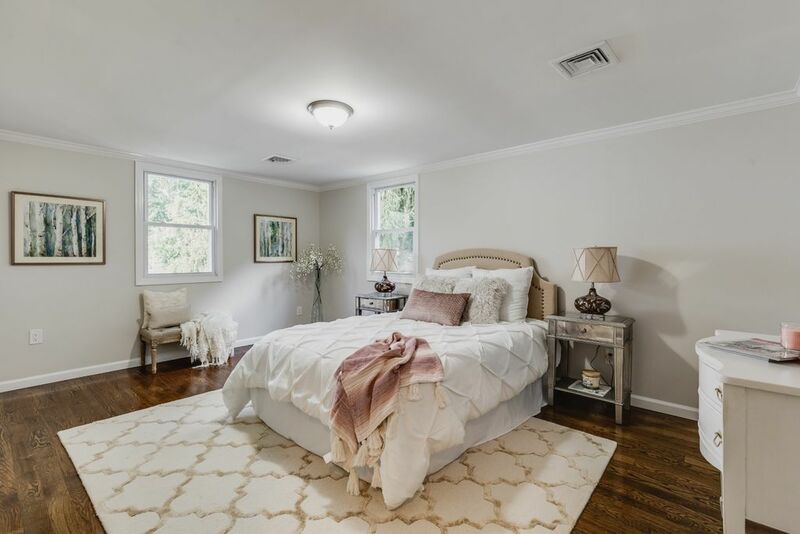 Beautiful Home Staging Captures a Buyer’s Heart: Of course, this is one of the main reasons why a buyer will buy! 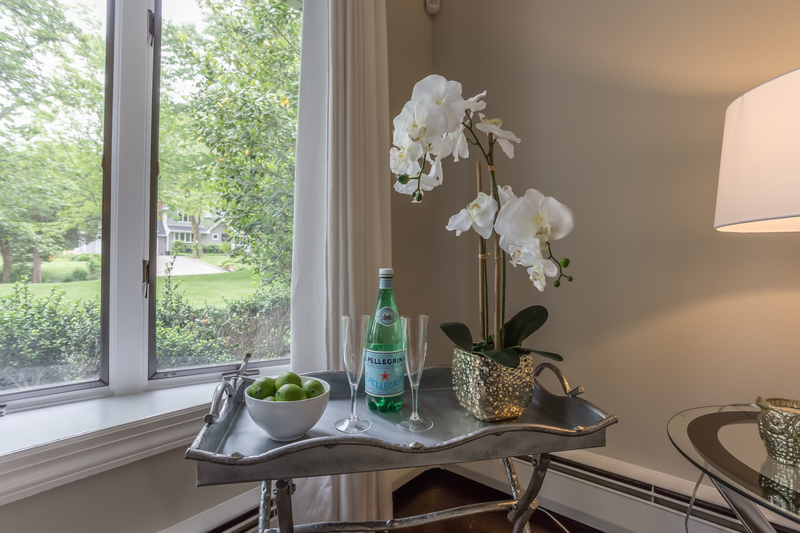 When a home is staged it’s designed to sell – not to be forgotten. We are not talking about decorating…we are talking about being strategic. A professional stager like myself will zero in on what the target buyer in your area is looking for. Making your home memorable and appealing to that market is job #1. We use art, color and lifestyle touches to attract a buyer’s eye to the key features and assets of your home – to make sure that the buyer notices and remembers them. We help maximize the spaciousness and we bring out the intrinsic beauty of each room to create the perfect package. Staging, coupled with professional photography, can attract far more buyers to the home in those crucial first weeks that it’s on the market. More traffic = greater possibility of offers. 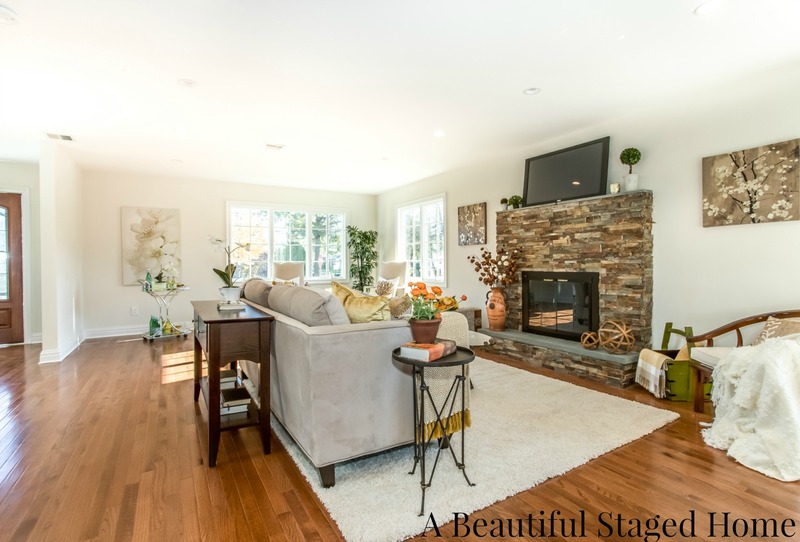 There’s a reason why staged homes sell over 73% faster than non-staged homes. Add to that a great realtor who is a savvy marketer and you have the formula for a very fast and profitable home sale. Happy selling! If you need some advice and help on how to get your home staged and sold, give me a call at 631 793-1315. I can’t tell you how many times I have recommended painting and updating fireplace mantels in homes when a client is selling. 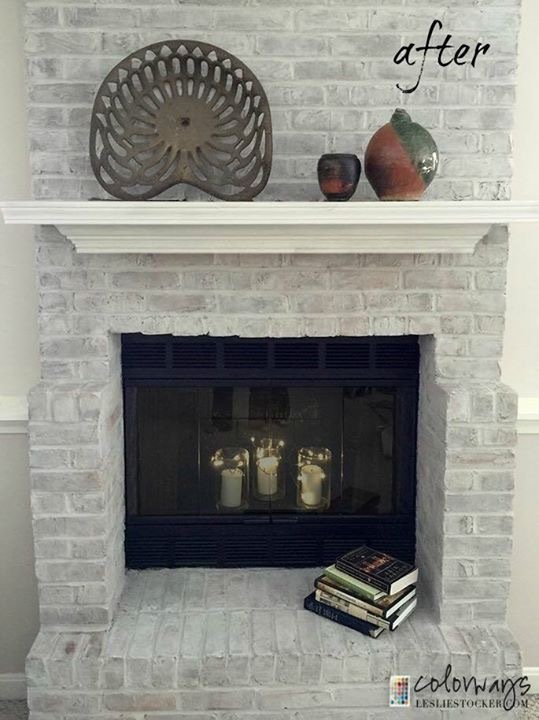 Especially red brick fireplaces – when I mention it should be painted or updated, I get this “We think you are crazy Linda” look on my clients’ faces. A vacant investor property that I staged (above) had the ugliest red brick fireplace – and someone (the investor or the investor’s painter) had the ridiculous idea of painting it even redder – making it worse! It’s a little tough to tell in this pic – but the painter had painted over the red brick – and it wasn’t even a good job. Painting it white or off white would have been better! Adding the bluestone to it made it even more ridiculous and keeping the ugly brassy doors kept it looking too 70s. Here’s an after shot, in the same angle. once the fireplace was redone and the furniture and accessories were placed in the room. Adding the furniture, artwork and accessories really helped – but what an eyesore this fireplace would have been without adding the stacked stone! Plus…a few other little things that I could enumerate. If they had left the fireplace “as is,” heaven knows how long it would have taken to sell! 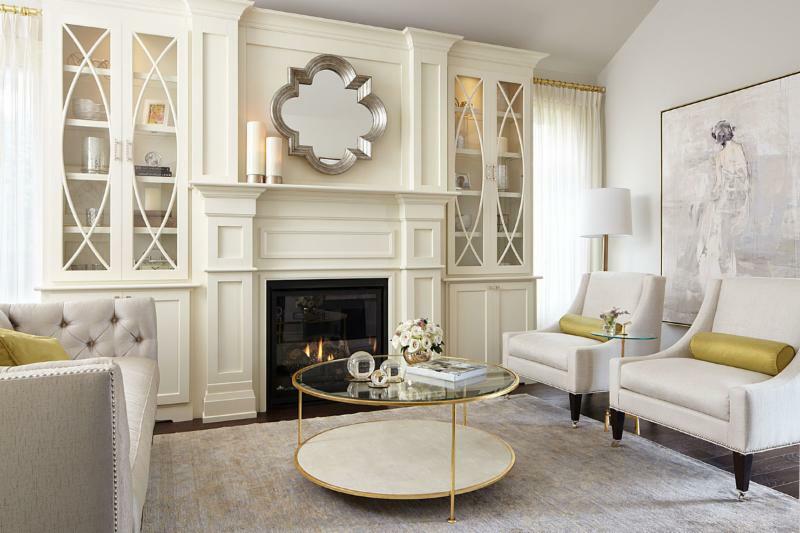 A fireplace mantel is the focal point of most living rooms and great rooms – you have to make sure it’s given its due by making it a special feature. Before the investor relented and changed the brick to stacked stone – I had suggested a less expensive alternative – painting. What a huge difference!! 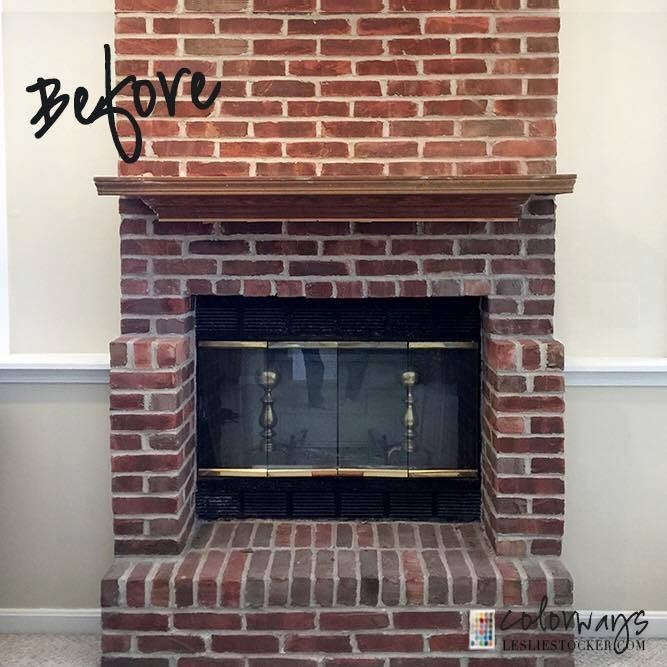 By painting both the brick and the wooden mantel shelf – she updated her fireplace in a day. This is huge – not only for homeowners…but for home sellers on a budget. Notice she painted the brassy/gold parts of the fireplace door black, which updates it further. This needs to be done with heatproof paint. In my project, the door was spray painted with heatproof paint as well. Another easy way to update your fireplace (when you don’t have a mantel!) is to just use a mantel shelf – and accessories. 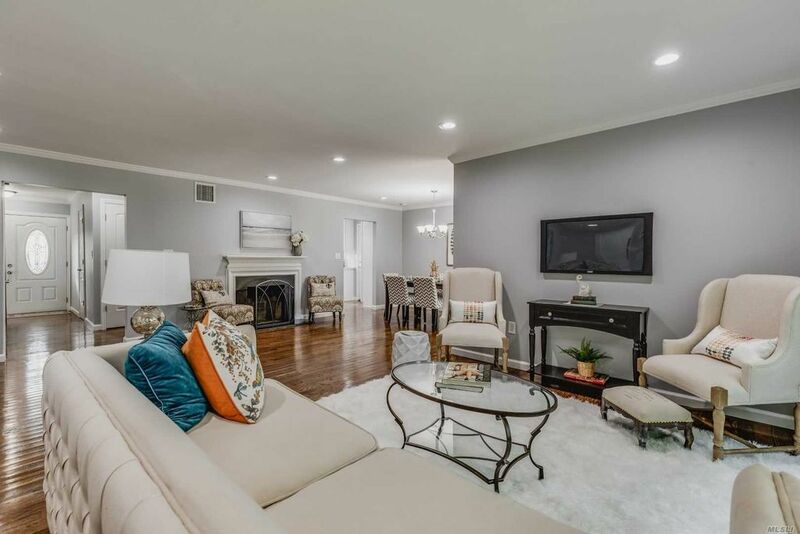 This was another home staging project that I did over the summer – where the home seller had completely ignored having a fireplace at all. There was just a firebox in the wall – that’s it. So, I re-arranged her furniture, added a mantel shelf, art, accessories, an area rug, pillows etc – and now her living room looks like a wonderful place to sit down, relax and enjoy a cozy evening by the fire. You can see some before and afters and read more about that project here. Home buyers are looking for their dream homes – you have to paint a picture for them. A fireplace is part of that dream for many prospective buyers, so if you have one…play it up…make it memorable. It will help you sell your house (even if you have some less desirable attributes!! If you need help in making your fireplace look great, please contact me. I am a decorative artist also and have transformed many ugly features into beautiful designer pieces. Happy Summer to All. Hope you are having a wonderful season so far. I am for sure – I’m just about to go out sailing with my husband…but a blogpost first before the sail! Today I wanted to talk about how to prevent a lot of stress when you are selling (or listing) a home for sale. 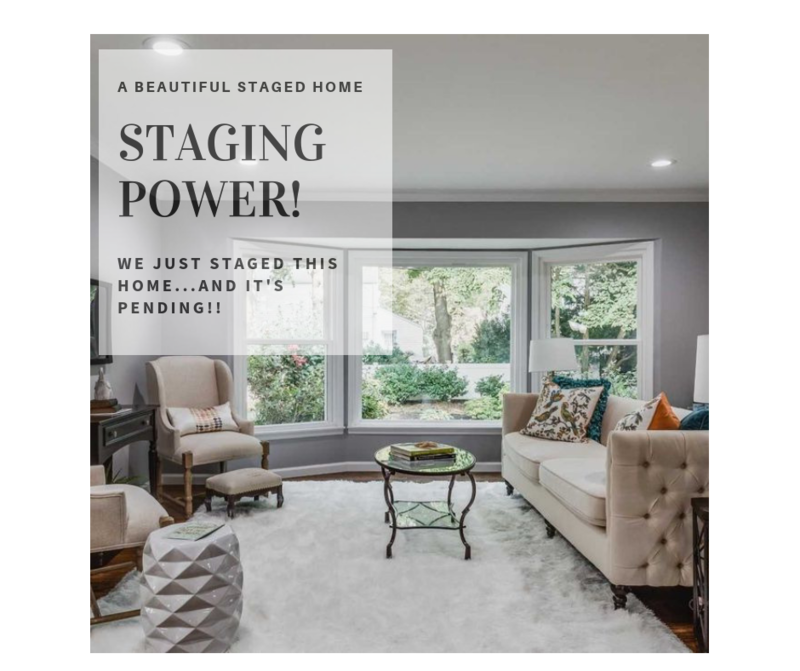 Of course I will be talking about the benefits of staging your home first! Preparing your house the right way will absolutely take the stress out of this very stressful time. When people put their homes up for sale, most times they showcase their “stuff” rather than highlighting the special features of their homes (the views, the architecture, the hardwood flooring, the fireplace mantel). Consequently, buyers may remember these homes as “the home with too many figurines” or “the home with the dated wallpaper.” When a stager comes in to help a seller prepare their home for market – they concentrate on making sure a potential buyer sees and remembers the special features of a home…and they help sellers downplay anything that may be a negative or a turnoff to a buyer. 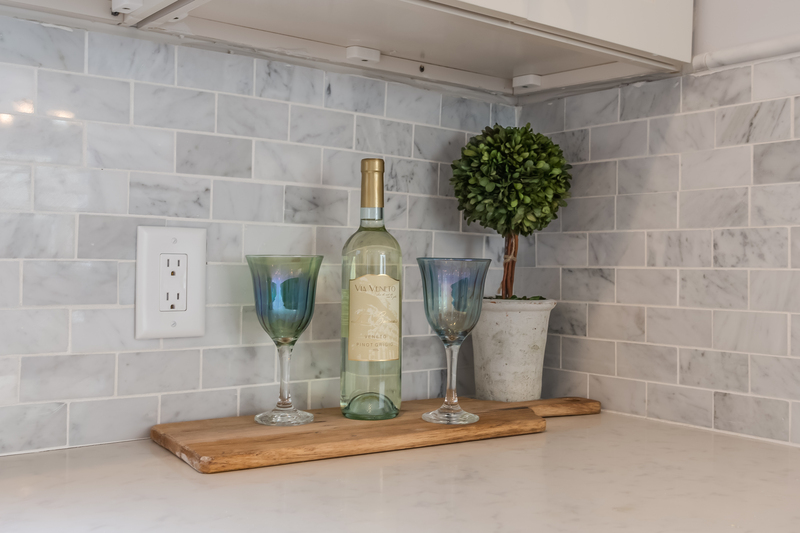 it’s really all about the underlying benefits you get that are the important points about staging. I love getting Thank You Notes like this! 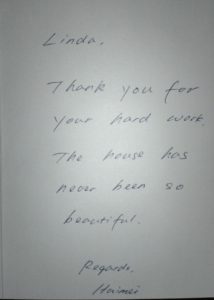 This lovely note I got from my Great Neck client tells me she is happy and she probably feels more secure about the look of her home as it goes on the market. I bet she is even more confident in her realtor too. And – a happy, less stressed client won’t be calling their realtor every day wondering why their house hasn’t sold yet! It was obvious to me that this client really didn’t have a decorating bone in her body. She had really great furniture (Roche Bobois – that’s French for really darn expensive stuff!) and a beautiful baby grand piano. But, incorrectly placing these pieces and not establishing a focal point (ignoring it altogether actually) would not allow a buyer to see how to live in an open concept home like this. I had my client purchase a mantel shelf, some pillows, artwork, area rugs (she bought the wrong size…but this is much better than “nothing”) and I brought in additional accessories to warm up the room and to give some emphasis to an otherwise over-looked fireplace. What I was able to do in a day – my client never accomplished in all the years she was living in the home! Above, a large vacant home can feel cold and impersonal. 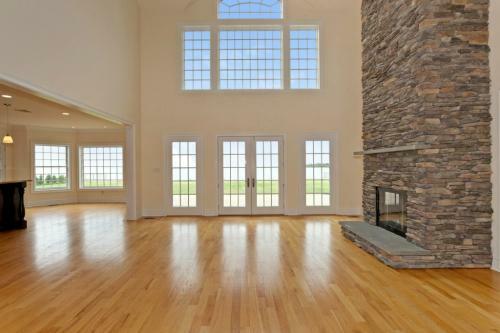 Tall walls and mantels can feel imposing and difficult to decorate; Open floor plans may confound many buyers. 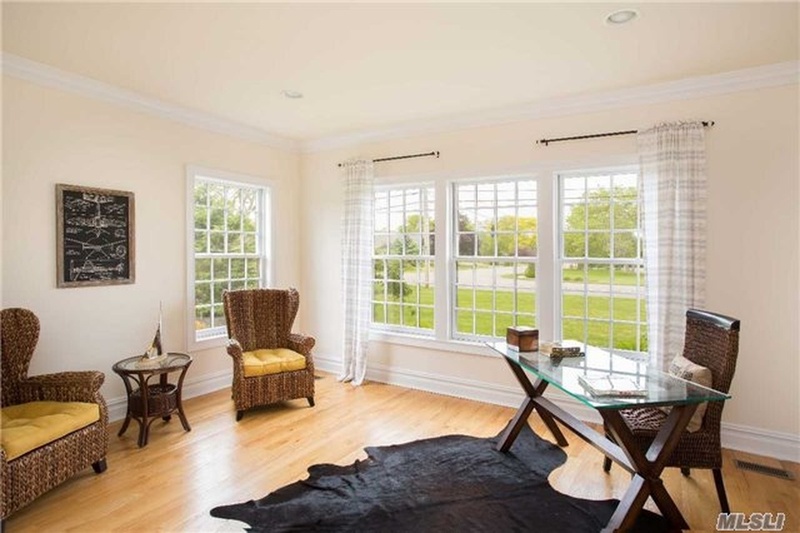 This beautiful waterfront home in The Moorings in East Islip needed some furnishings and some love…some warmth. 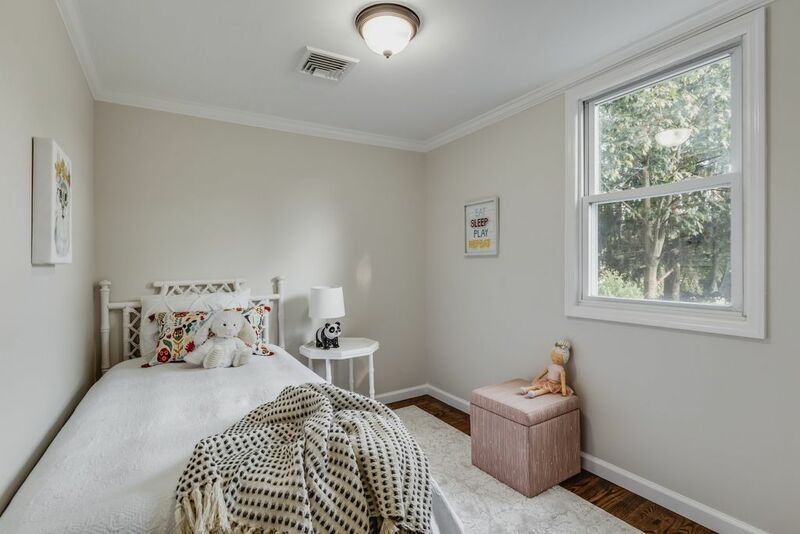 Bonus rooms not only confuse buyers but many sellers don’t know what to do with them either – so many times these spaces remain undecorated or they become “storage” rooms. 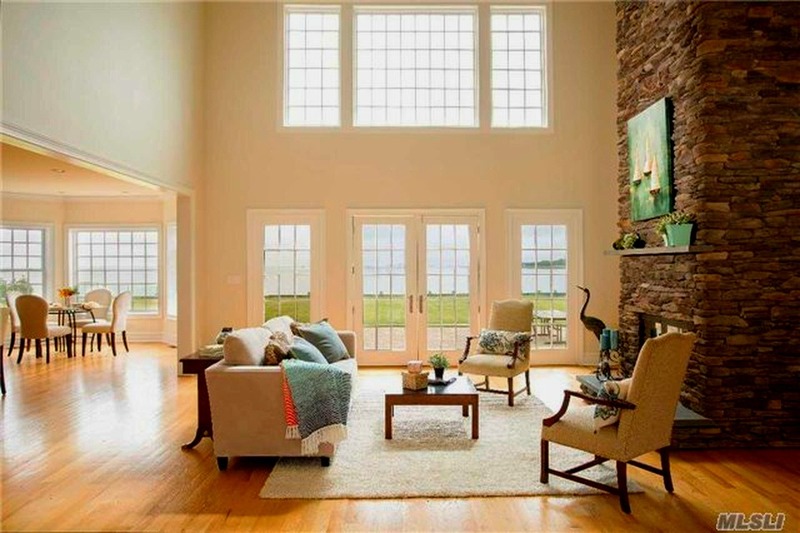 Staging helps to give a reason – a function to these rooms. I wish that my own home office looked like this! For information on this home, contact listing Agents: Joe Guiliani (tel. 631 774-6551) and Mike Watts (tel. 516 398-4845) of Michael J Watts and Associates. If you would like to feel more confident about your home for sale, please give me a call at 631 793-1315. I know that I can help you!